No 5/115, Pammal Main Road, Airport Area, Chennai, Ινδία, 600043. Σχεδιασμένο για ταξίδια τόσο επαγγελματικά όσο και διασκέδασης, το Azeez Avenue Hotel είναι ιδανικά τοποθετημένο στη Περιοχή Αεροδρομίου, μια από τις διασημότερες περιοχές της πόλης. Σε απόσταση μόνο από το κέντρο της πόλης, οι επισκέπτες βρίσκονται στην κατάλληλη θέση για να απολαύσουν τα αξιοθέατα και τις δραστηριότητες. Με την βολική του τοποθεσία, το ξενοδοχείο προσφέρει εύκολη πρόσβαση στους προορισμούς της πόλης που πρέπει οπωσδήποτε να δείτε. 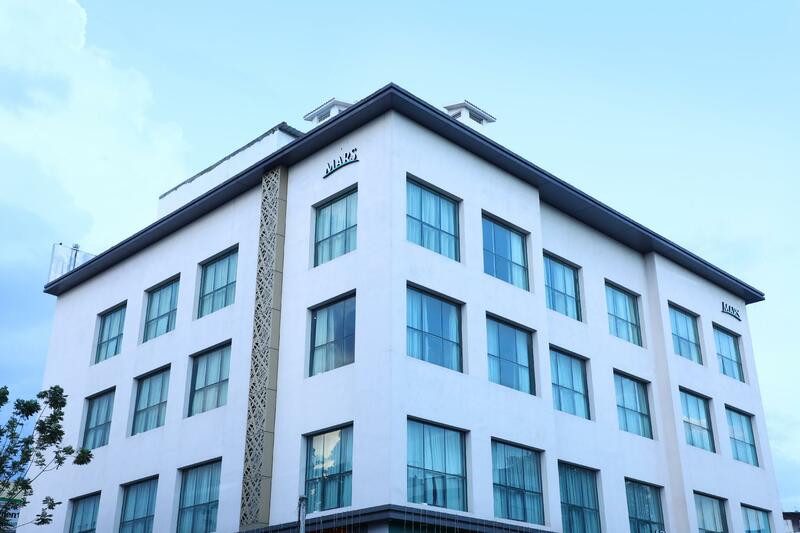 Το Azeez Avenue Hotel προσφέρει άψογη εξυπηρέτηση και όλες τις βασικές ανέσεις στους ενθουσιώδεις ταξιδιώτες. Το ξενοδοχείο σας προσφέρει μια μεγάλη επιλογή υπηρεσιών, συμπεριλαμβανομένων των 24ωρη υπηρεσία δωματίου, δωρεάν WiFi σε όλα τα δωμάτια, 24ωρη φύλαξη, ημερήσιος καθαρισμός, υπηρεσία ταξί. Η ατμόσφαιρα του Azeez Avenue Hotel αντανακλάται σε κάθε δωμάτιο. Στην ιδιοκτησία θα βρείτε πετσέτες, ντουλάπα, επίπεδη τηλεόραση, καναπές, καθρέφτης, καθώς και πολλά άλλα. Εξάλλου, το ξενοδοχείο διοργανώνει πολλά ψυχαγωγικά δρώμενα έτσι ώστε να έχετε πολλά πράγματα να κάνετε κατά τη διαμονή σας. Το Azeez Avenue Hotel είναι ένας ιδανικός τόπος για να μείνετε αν ψάχνετε για γοητεία, άνεση και ευκολία στη Chennai. incredibly disgusting, dirty linen, smelly floor and noisy. To be avoided at any cost unless you are a budget solo traveller who has no choice left. Breakfast need to upgrade for better choices. Upgrade the towel which can absorb water and better quality. Staff very good and polite. Especially, Mr Sundar who provide us warm welcome & arrange airport transfer on time. Very good stay, however there are bit niggles that they have to be rectified with the room service, apart from that I would rate five star for all kind of facilities. 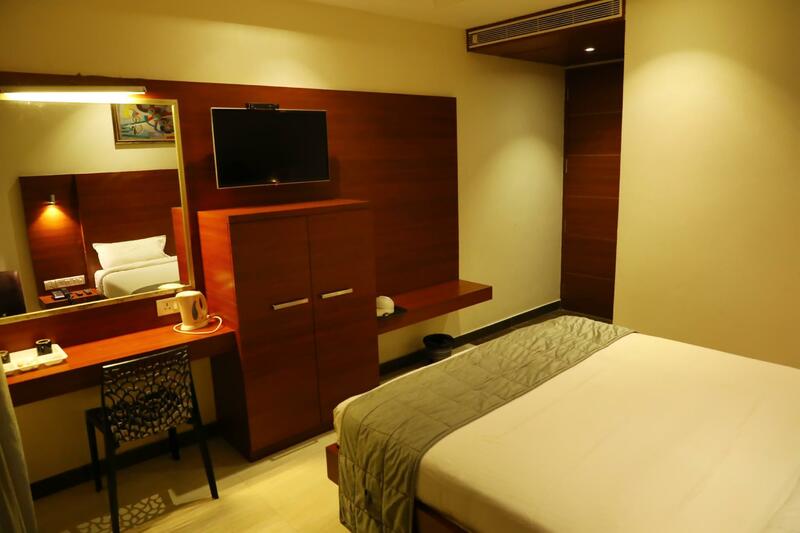 hotel is clean, modern room, staff is responsive, near to airport area. Though they have rooms available next day, they denied rooms when we planned to extend our stay. From A to Z that was an awful experience. Dirty as hell : sheets, pillows, bathroom . I wonder when the room was cleaned the last time. Staff at the lobby OK, but the room boy was so rude. They all barely speak English. Tv cable only 15 channels Indian networks. Not wake up call at 4 am as I requested. I slept all dressed as I was so afraid to get skin diseases in the bed. On;y 2 positives things : close to airport and free airport pickup . How Mars hotels can keep such a property under their name? Nice place, but a bit hard to locate. Staff are nice, though helpless in arranging airport pickup. Wifi reception virtually non-existent except in reception. Breakfast is a pre-packed affair from some place closeby, maybe from one of the other hotels of Mars group. we only stayed here for a few hours because we arrived late at night and we have to go again the next morning. The hotel is clean, Big but it doesnt have an additional bed so we sleep uncomfortable that night. this place is quite noisy during day because of the strategic location. But all of the staff is very friendly and help us find our transportation since we dont have any sim card in India, they called every car rent by their our phone. Very helpful if i could say. The breakfast needs an improvement. Thank you for helping us. Good hotel with both way free airport transfer.Value for money. Everything is fine but need to upgrade breakfast because here many foreigners stay so I think all are not familiar with local breakfast.